I saw these two National Geographic from ’82 and ’83 on Jeanne-Mance. One’s main topic is “the universe,” a pretty broad focus. The cover story of the other has something to do with the Berlin wall. A couple of couches and mattresses. Normally I would assume bedbugs, but since it’s just after the 1st it could be stuff left behind from a move. Regardless, I didn’t take anything. Some odds and ends. I took all this stuff, but I’ll probably give most of it away. There’s a wood duck planter (which I may keep), a rotary telephone (which I left out on the curb near my place – maybe someone will take it. I already have a cooler looking rotary), a couple of point and click 80s style cameras, a timer, and some not particularly noteworthy pottery and glass. There’s also a little tape recorder, which I may keep. I also found a scale there. Karma weighs a very cute 20 pounds. Not far from where I live, I found all these bottles. Most of them are the 20c kind. I returned all these for 3.10$, and it subsidized a fancy beer for tonight. I got a Unibroue Éphémère, a really good beer with apple. From their website: “The label depicts a fairy, an ephemeral spirit associated with fruits picked at the peak of ripeness during each harvest season.” I look forward to it! There was a few others things in this box, like a wood rolling pin (which I gave to K) and a coffee grinder. 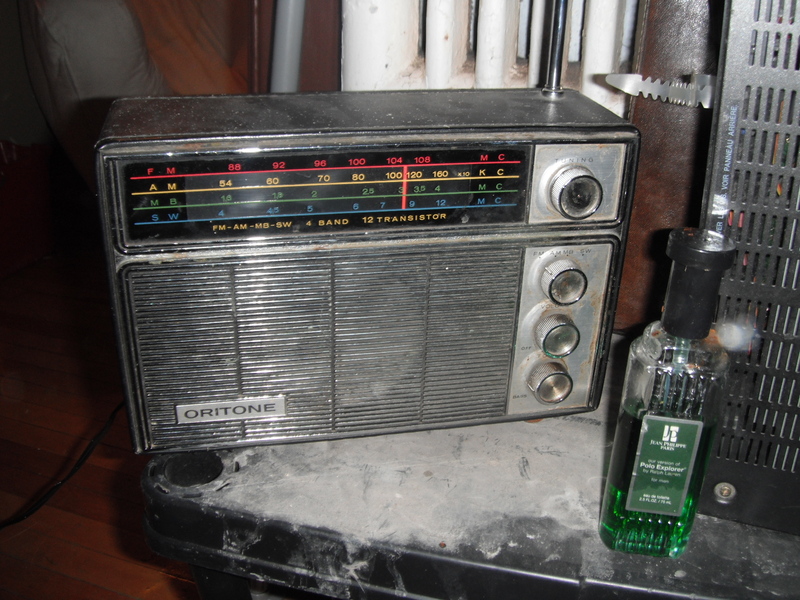 I also found this little vintage radio. It works decent, and I gave it to new roommate Steve. Enjoy! I also got that little bottle of cologne, but I’ll probably put that back out. I think I want to adopt Karma; she’s so cute. 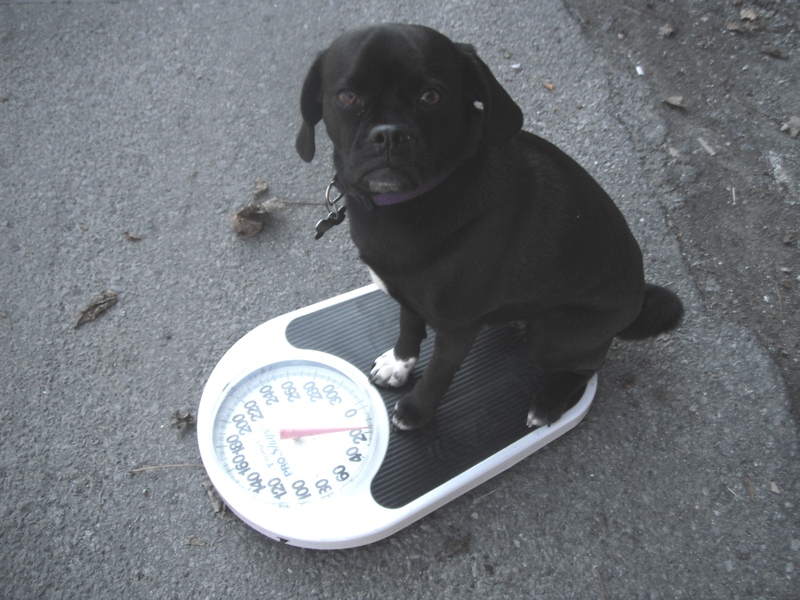 How did you get her to sit so quietly on that scale? Hopefully before we leave, ill bake something which can make use of this rescued rolling pin! thank you!